We will see what’s the scrum model in this article. Scrum is a lightweight framework that give you the minimum framework to develop your application in agile. 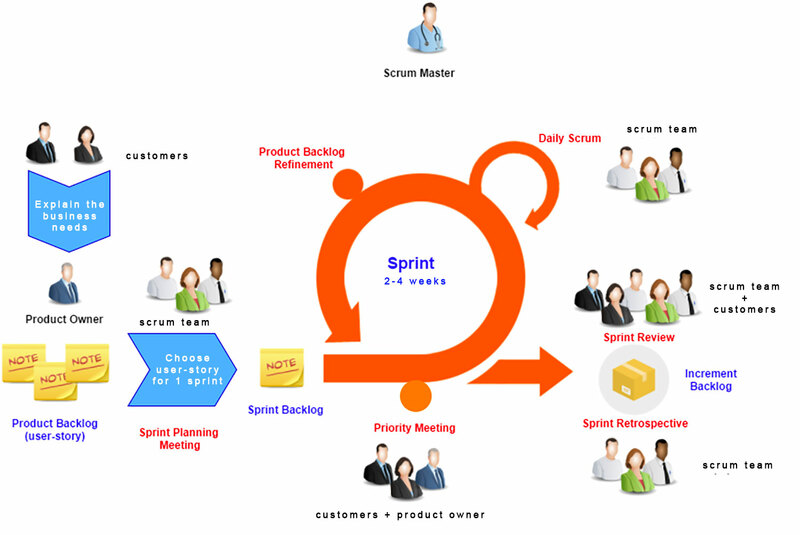 The authors of scrum offer you the possibility to see the concept of scrum with the “scrum guide”. You can find it easily on google. It’s a PDF with 17 pages that explain you the framework in whole. It will be necessary to add practices to have a good framework for your project. Each project will have the different practices adapted to context. We will see these roles in detail in another articles. The scrum model purpose to the teams to have rhythmic iterations called sprint. One sprint starts with a sprint planning and finishs with a sprint review and retrospective. 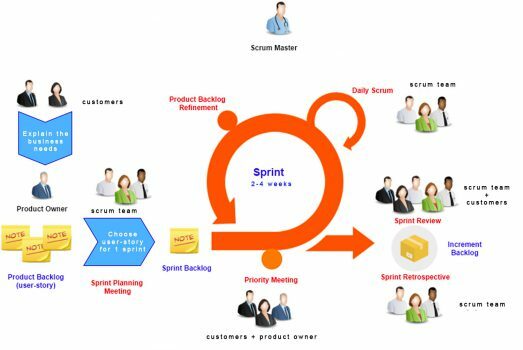 sprint planning: the product owner give the objectives to the team and the items (requests) that he wants the team develop if it have the capacity to do. daily sprint: the development team align with the sprint progress. sprint review: the team see together the finished items and check the product progress. it can invite customer and stakeholder to do a demo and take feedbacks. sprint retrospective: the team will work together to find the axis of improvement. 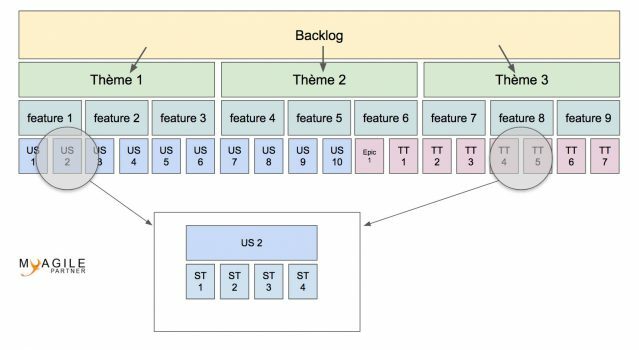 Scrum is a lightweight framework that can help the team to develop a product in agile. Be careful because the scrum demand to add practices to reinforce your framework.